In area, 12.7 hectares (or 31.4 acres), the district is bordered by Gwanhun-dong to the north, Nagwon-dong to the east, and Jongno 2-ga and Jeokseon-dong to the south, and Gongpyeong-dong to the west. 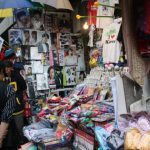 Insadong-gil is “well known as a traditional street to both locals and foreigners” and represents the “culture of the past and the present”. 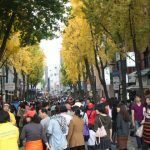 It contains a mixture of historical and modern atmosphere and is a “unique area of Seoul that truly represents the cultural history of the nation.” The majority of the traditional buildings originally belonged to merchants and bureaucrats. Some larger residences, built for retired government officials during the Joseon period, can also be seen. Most of these older buildings are now used as restaurants or shops. Buddhist sculptures in a flea market of InsadongInsadong was originally two towns whose names ended in the syllables “In” and “Sa”. 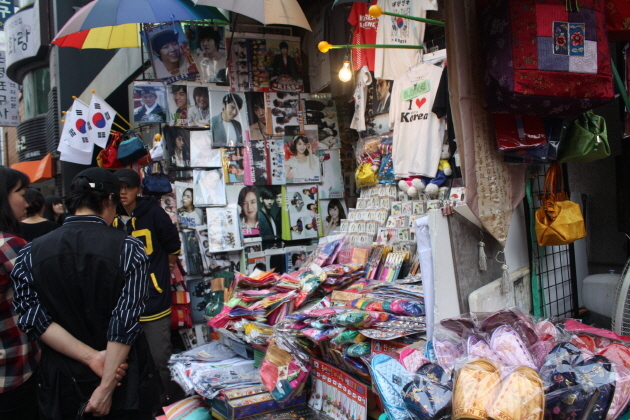 They were divided by a stream which ran along Insadong’s current main street. Insadong began 500 years ago as an area of residence for government officials. During the early period of the Joseon Dynasty (1392–1897), the place belonged to Gwanin-bang and Gyeonpyeong-bang – bang was the name of an administrative unit during the time – of Hanseong (old name for the capital, Seoul). 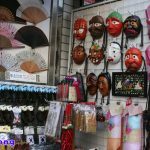 During the Japanese occupation, the wealthy Korean residents were forced to move and sell their belongings, at which point the site became an area of trading in antiques. 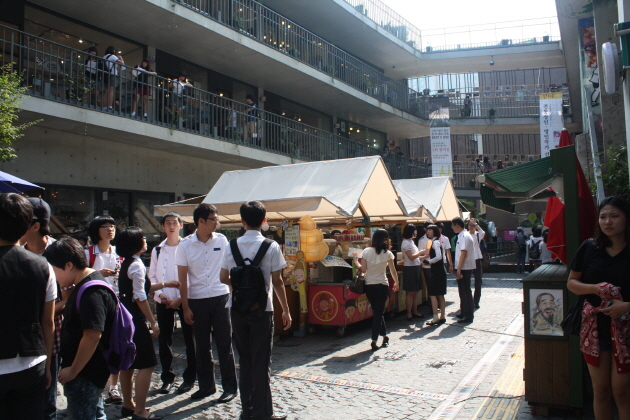 After the end of the Korean War, the area became a focus of South Korea’s artistic and cafe life. 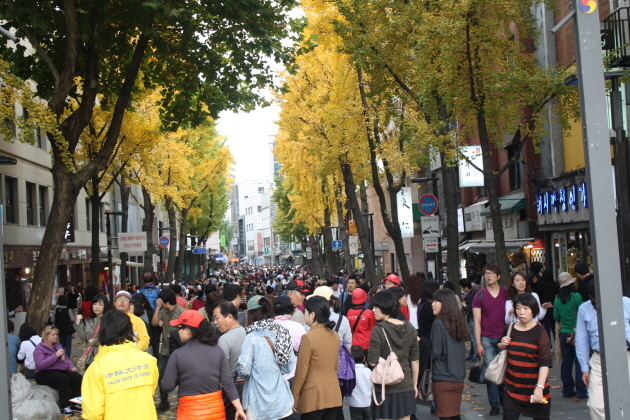 It was a popular destination among foreign visitors to South Korea during the 1960s, who called the area “Mary’s Alley”. 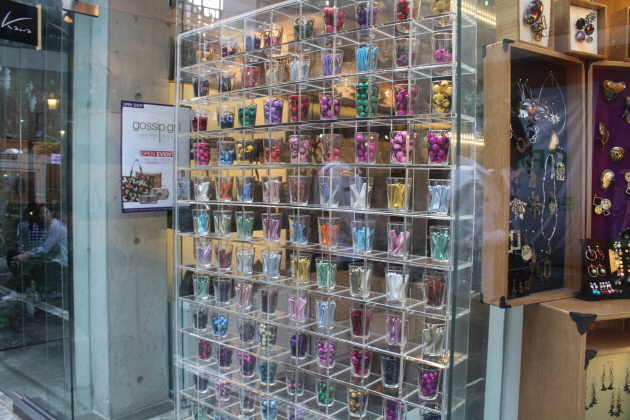 It gained in popularity with international tourists during the 1988 Seoul Olympics. 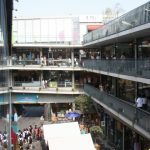 In 2000 the area was renovated, and, after protest, the rapid modernization of the area was halted for two years beginning that year. Insadong-gil is “well known as a traditional street to both locals and foreigners” and represents the “culture of the past and the present”. 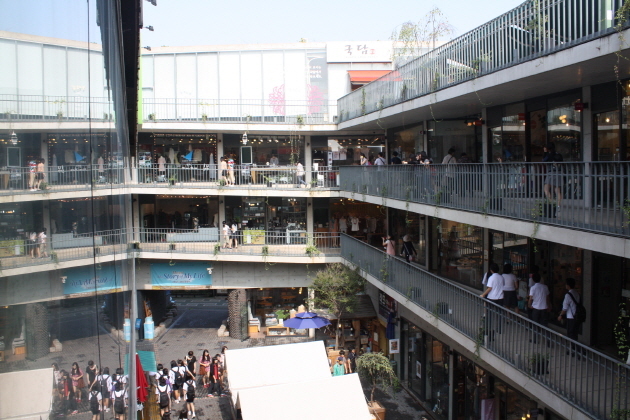 It contains a mixture of historical and modern atmosphere and is a “unique area of Seoul that truly represents the cultural history of the nation.” The majority of the traditional buildings originally belonged to merchants and bureaucrats. Some larger residences, built for retired government officials during the Joseon period, can also be seen. 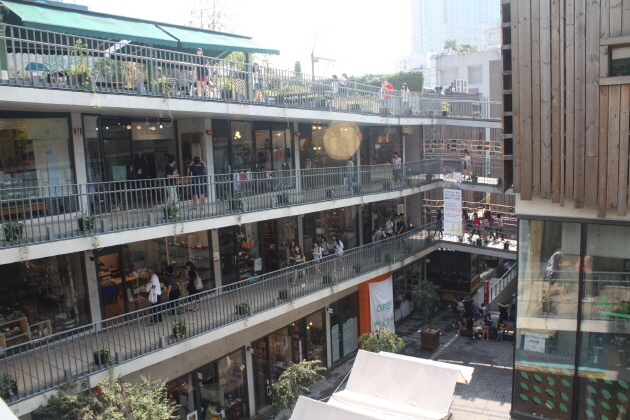 Most of these older buildings are now used as restaurants or shops. Among the historically significant buildings located in the area are Unhyeongung mansion, Jogyesa – one of the most significant Korean Buddhist temples, and one of Korea’s oldest Presbyterian churches. The area is well known for sightseeing, with approximately 100,000 visitors on Sundays reported in 2014. 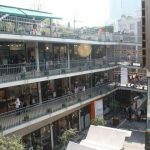 Insadong is also a visiting spot for foreign dignitaries such as Queen Elizabeth II and the princes of Spain and the Netherlands. 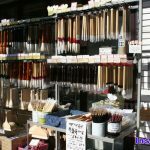 It contains 40 percent of the nation’s antique shops and art galleries as well as 90 percent of the traditional stationery shops. 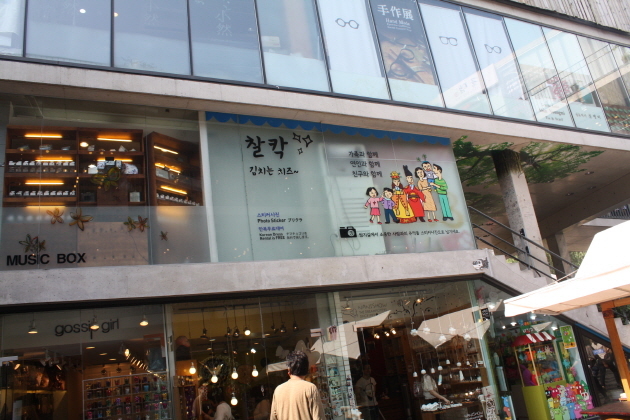 Particularly noteworthy is Tongmungwan, the oldest bookstore in Seoul, and Kyung-in Art Gallery, the oldest tea house. 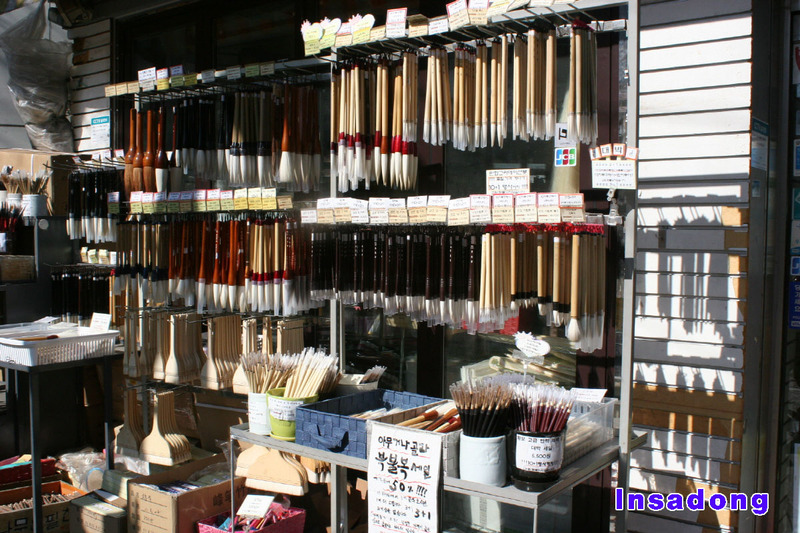 There are daily calligraphy demonstrations and pansori performances. Unhyeon Palace, Bosingak bell pavilion, and Jongno Tower can be found in this area. Samcheongdong a nearby dong also with an art scene. There is also an express bus to the resort island of Namiseom where the popular Korean Drama Winter Sonata was filmed. 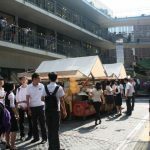 The area is on the Seoul list of Asia’s 10 greatest street food cities for the gimbap, odeng, bungeoppang. In January 2013, the Seoul Metropolitan Rapid Transit Corporation published free guidebooks in three languages: English, Japanese and Chinese (simplifed and traditional), which features eight tours as well as recommendations for accommodations, restaurants and shopping centers. 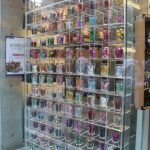 These were distributed from information centers in 44 subway stations, namely Itaewon Station on line 6 and Gwanghwamun Station on line 5. 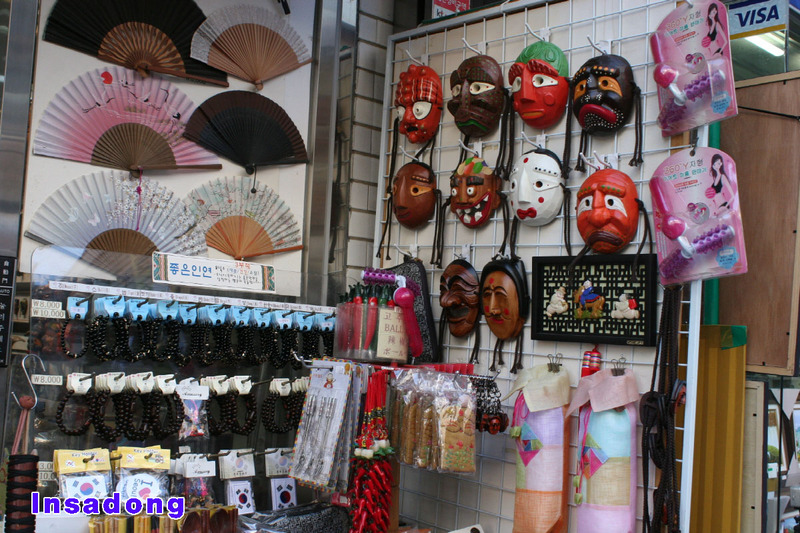 The tours are designed with different themes, eg Korean traditional culture. 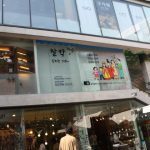 Which goes from Jongno 3-ga Station to Anguk Station and Gyeongbokgung Station on line No 3 that showcases antique shops and art galleries of this area.